Choosing the 10 best dual-band wireless gigabit routers is a good avenue to enjoying strong signals and super fast speeds when at home or in the office. In today’s world, people are relying more and more on wireless connectivity, internet and Wi-Fi to share content, watch movies, download music videos, streaming videos, share pictures, video conferencing, online gaming and much more. However, the experience won’t be desirable if you have a poor or weak router as you will experience slow speeds, dragging internet, too much buffering, and related issues. In addition to having strong signal and super fast speeds, a good product will support many devices and is compatible with most operating systems. Listed below is the countdown of the 10 best dual-band wireless gigabit routers for 2018. 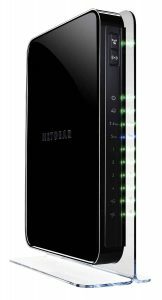 This smart router by NETGEAR is targeted at people looking to connect several devices while still experiencing super fast speeds. 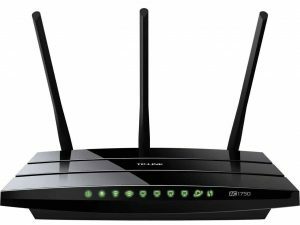 The AC1750 Wi-Fi router works with up to 12 devices and comes with transfer speeds that can reach 1750 Mbps. The device features USB 2.0 and USB 3.0 that makes connection to different devices easy and supports many operating systems including Windows, Linux, Mac and UNIX. One issue people have with this smart Wi-Fi router is its rebooting which is a bit to frequent. 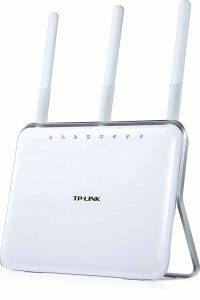 The TP-LINK AC1900 features two networks, 2.4 GHz and 5.0 GHz, and provides reliable speeds for the best Wi-Fi experience. It is powered by an ultra fast duo core 1 GHz processor that caters for the wired as well as wireless connections. Its high speeds rate of 1900 Mbps together with the 3 high-powered antennas offer good range while the USB 2.0 and USB 3.0 ports provide seamless and fast transfer of files. The gigabit router is compatible with Mac, Netware, Windows, UNIX and Linux. Some users nonetheless argue that although the router claims to attain speeds of 100Mbps, this can get as low As 27 mbps even when using the faster USB 3.0 port. 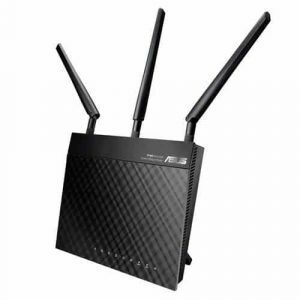 Achieving data transfer speeds of up to 1.75 Gbps is possible with the ASUS RT-AC66U AC1750 gigabit router. This is made possible through the highly-effective 5th generation chipset that is not only super fast but also reliable. 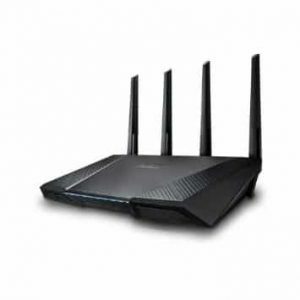 It provides larger coverage than most routers in its class and is also easy to setup, monitor and operate. The AiRadar technology together with the high-powered antennas enhances video streaming, online file sharing and has 50% more coverage. This Mac and Windows 7 compatible router unfortunately comes in router mode only and doesn’t support AP mode. 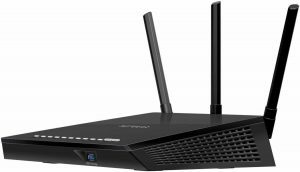 Streaming videos, downloading movies, watching internet TV, sharing images & content will become better with the WNDR4500 N900 Wi-Fi router by NETGEAR. With data transfer speeds of up to 900Mbps and two dual bands (2.4 & 5.0 GHz), this router provides clear images and sound. It features a 600MHz processor, supports 802.11 a/b/g/n networks and is compatible with iPads, tablets, computers, smartphones, laptops and more. The ReadySHARE feature makes file transfer and sharing easy. Unfortunately, the power up cycles happen a bit too often. 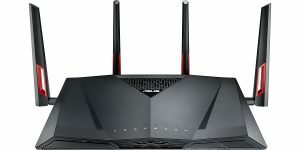 This dual-band gigabit router from ASUS achieves two variable speeds with the highest being 1300Mbps via the 5.0 GHz and the other one is 600Mbps via the 2.4 GHz network. Its performance has improved by about 33% courtesy of the TurboQAM(TM) technology and the duo core processor while the AiRadar technology ensures the coverage is much wider. It comes with USB 2.0 and USB 3.0 ports and works with smartphones, computers, tablets and laptops. Setting up and configuring the Wi-Fi router however takes some time. Seamlessly share your files, stream videos, watch HD TV with the ASUS RT-AC87U AC-87U. 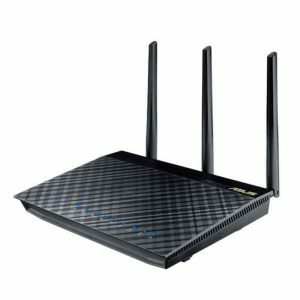 This dual band wireless gigabit router achieves maximum data transfer speed of 2334 Mbps and has a range of up to 465 meters. The Wi-Fi router is ultra-fast and suitable for large file sharing, playing back videos in 4K/UHD, online gaming and supports 802.11 a/b/g/n Wi-Fi. It features two USB ports (2.0 & 3.0) and is compatible with Android and Windows OS. The router however tends to pickup broadband noise. 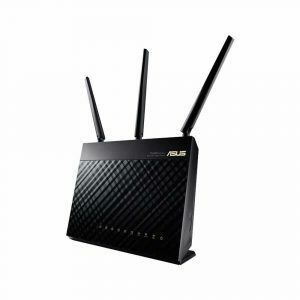 The ASUS dual-band wireless-AC3100 offers excellent speeds of up to 2100Mbps at 5GHz and up to 1000 Mbps at 2.4 GHz making it among the fastest in the market. It features superior 1024-QAM technology that also offers wider coverage of up to 5,000 square-feet which is well-suited for the office and the home as well. The duo core processor attains maximum speeds of 1.4 GHz, supports 802.11 a/b/g/n networks and is compatible with Mac and Windows OS. Setting up the unit however requires some technical knowledge. The ASUS RT-N66U comes with two bands, 2.4 and 5.0 GHz. its top data transfer rate is 900 Mbps and can be linked to devices through the USB 2.0 or the faster USB 3.0 ports. The ports also allow File, Printer and 3G sharing while the user-friendly ASUSWRT Dashboard makes setting up, monitoring and network application control easy. It supports 802.11 a/b/g/n Wi-Fi networks and its coverage can be expanded via the 3 detachable high-power antennas. This dual band wireless gigabit router is not only super fast but also comes with advanced security features. Its top data transfer speed is 1750 Mbps and is the combination of 1300Mbps via the 5.0 GHz channel and 450Mbps via the 2.4 GHz channel. The router is ideal for 802.11ac wifi networks and features WPS button and one-touch WPA encryption for better security. For easy file sharing, printing locally or remotely and connecting to multiple devices, it features a USB 2.0 and USB 3.0 ports and is compatible with windows, Mac, UNIX, Linux and Netware. Nonetheless, for this router to work perfectly, it needs to be configured well. 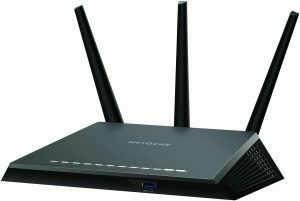 High performance of your wireless 802.11 a/b/g/n network is guaranteed with the NETGEAR Nighthawk AC 1900 router. 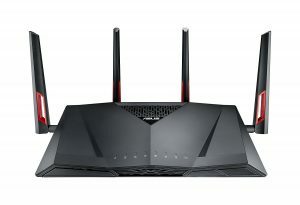 It features a fast 1 GHz processor that helps the router reach the high transfer speeds of up to 1900Mbps. This is boosted by the powerful antennas, built-in amplifiers and Beamforming Technology. The versatile Wi-Fi router is compatible with UNI X, Windows, Linux, Mac and many others and supports different devices including Desktop PC, laptops, netbooks, tablets, smartphone and more. The setup is a bit technical and may take some time. There goes our summarized review of the 10 best dual-band wireless gigabit routers for 2018. The demand for stronger signal and faster speeds is bound to increase in the upcoming years and unless you invest in the right product you are unlikely to have a stress-free experience. We have analyzed and identified the top products that offer ultra-high speeds, strong signal, are compatible with most devices bad signals, are popular in the market, and are also receiving positive reviews from current users. Starting off the year with an item featured in the review isn’t such a bad idea.